The plant often acts as a host to endophytic fungi (Albugo candida and Peronospora parasitica) so the presence of mycotoxins is possible. Thought to be native to Europe and Asia, the plant is now found through most temperate regions of the world, growing profusely as a weed in many places. 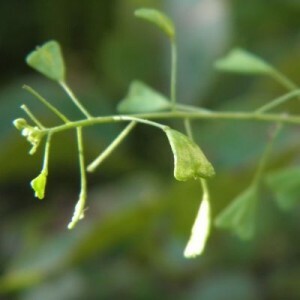 An annual or biennial with an erect stem, rosettes of basal leaves, four-petaled white flowers, and heart-shaped seed pods. It flowers and fruits throughout the year, and just one plant can produce 50,000 seeds in a season. It is harvested throughout the year. Its name is derived from the appearance of the seed pods, which resemble small purses often carried by shepherds. During WWI, it was one of the standard herbals used to staunch blood flow of wounds. Since goldenseal and ergot were unobtainable in Britain, shepherd’s purse became a viable alternative. Choline is an amine that acts as a vasoconstrictor. Decoctions of the fresh plant are used in Spain for bladder inflammations. A homeopathic remedy is used for mucous membrane bleeding and for calculosis (stones in the internal hollow organs eg. kidney or gallbladder). Infusions are taken for heavy menstrual bleeding, cystitis, and diarrhea; and a strong infusion of twice the strength is considered best. Infusions are sipped during labour to stimulate contractions and after delivery, to ease postpartum bleeding. Tinctures are also used for heavy menstrual bleeding, cystitis, and diarrhea. Poultices of the fresh herb are applied to bleeding wounds. ompresses soaked in an infusion are placed on cuts; and a bit of the infusion can be placed on a cottonball for nosebleeds. One of the best remedies for preventing or arresting hemorrhages, it has long been a specific treatment for heavy uterine bleeding. It is weaker-acting than ergot, but shepherd’s purse is also less toxic so is better tolerated by the body. It may be used for bleeding of all kinds, including nosebleeds or blood in the urine. 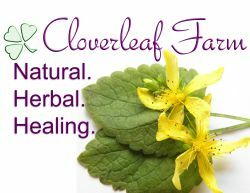 An infusion of the herb will cause blood vessels and muscular tissue to contract and has been used to hasten childbirth. As an astringent, it disinfects the urinary tract, as well as being useful in cases of diarrhea. The Chinese use it for dysentery and for eye problems. Its sweet taste is considered good for the spleen. In America, it is sometimes used for headaches, but is seldom used in herbal medicine today. In Western herbal medicine, the flowers are not generally separated from the rest of the plant; but in Chinese medicine, the flowers are specifically used for dysentery or uterine bleeding.